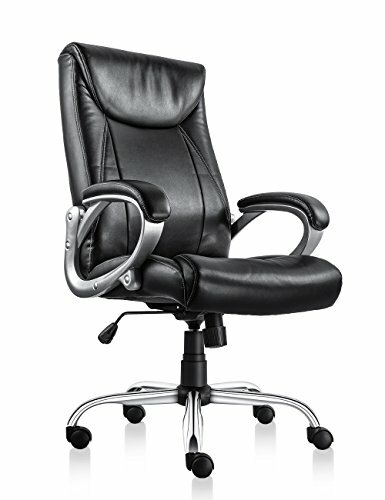 Most of us spend over 1/3 of time on our office job in our whole life, meanwhile 80% of the office time are sitting in front of the computer,so you need a really comfortable office chair to make you relax. VOF Furniture--- Provide You a Better Sitting Experience. What we have is variety kinds of office chairs to satisfy all your needs, whatever you need ergonomic executive office chair,luxurious managerial office chair,or simple but comfortable task chair or other style office chairs.We are world class experienced supplier,skilling in advanced intelligent technology, selecting superior quality material, attaching importance to every user's needs and experience.Give yourself a chance to have a better sitting experience. 1. Superior comfortable padded headrest and armrest. 2. Ergonomic backrest and seat cushion design. 3. Adjustable seat height and thoughtfully back rock design for better user experience. 4. Easy to put it together. Kindly Note: If you have any problem about us or our product please contact with our customer service. Superior Comfortable Sitting Experience: With Excellently comfortable headrest,which is helpful for the relax of your neck.The user friendly design of the backrest and armrest provide you a additional comfortable support make release of your body whenever necessary. Ergonomic Design Great Stability: Ergonomic Bonded leather backrest and seat padded with high density foam,improves blood circulation more nature and removes pressure from lower part of your legs.Make you stay comfortable even 24 hours. Multi-functional Adjustment Mechanism: BIFIMA certification 300lbs weight limit. The office chair with both lift and tilt function. The lift function could raise or lower the seat positioning to suit your height and size. the tilt function, could rock your body to have a relax during your routine working. Easy to Assemble: The executive office chair comes with clear instruction and No extra tools needed for assembly. All the screws have extra backup in the package for your convenience. Conscientious Warranty: Any quality problem,we will provide chair parts replacement for free within 2 years after you purchase the chair. View More In Managerial & Executive Chairs. If you have any questions about this product by VOF Furniture, contact us by completing and submitting the form below. If you are looking for a specif part number, please include it with your message.